That is why socialism, “which its goal is to have collective living and working arrangements, equal distribution of wealth, and equality of power”, doesn’t work. It kills the economy, creates governmental dependency, and lowers the quality of living. This is what George Orwell wrote in his allegory, Animal Farm, and the base of Ayn Rand’s novel, Anthem. There is one thing that everybody has, the fact that they are them-self. This fact brings pride to them, a pride of self, or selfishness. Which, very few things, and or people, can get in the way of. That’s where governmental dependency comes in to play. People might say that governmental dependency is a good thing. However, giving the government more power leads to the extremely likely problem of politicians creating a major divide in classes, where they get more money, food, and other luxury products, than the working class. The cause of this is selfishness which is an inherent part of life. Examples of this are the USSR, and Venezuela. They also might say, “The government controlling pay, and making fair markets is better than just letting people create business and having to compete.”. That statement is so far from the truth, because in order to have business growth you need fresh new ideas. Those ideas, which are thought of so you can have an advantage when you start a company, leads to better technology and more opportunities. In other words, competition leads to growth, which leads to a better economy. The Economy is the biggest part of a country’s growth, or development. Socialism calls for equal pay, which makes the markets less competitive. Because of non-competitive markets, the rate of development will massively decrease. This decreases the ability to supply needs such as electricity, running water, other infrastructure, and food. This causes the economy to suffer and reduces the quality of life. Such as, when Daniel Di Martino lived in Venezuela. The tyrannical socialist government caused inflation which lead to many problems. The quality of life there is appalling. 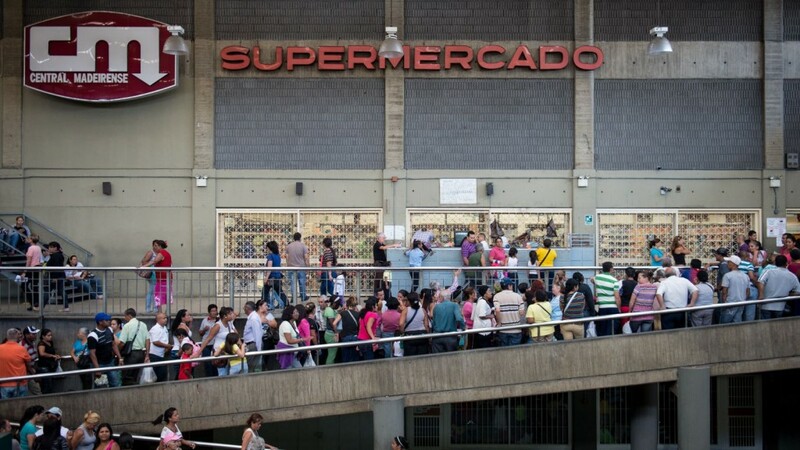 Daniel stated in His article, Socialism destroyed my home, Venezuela , “Because of price controls and the nationalization of important industries, production fell. I had to wait hours for goods like toothpaste or flour.” Martino described that, “My family and I suffered from blackouts and lack of water. The regime nationalized electricity in 2007, resulting in underinvestment in the electrical grid. By 2016, my home lost power roughly once a week.”, and, “Our water situation was even worse. Initially, my family didn't have running water for about one day per month, but as the years passed, we sometimes went several weeks straight without it.” The inflation rate is massive because, Venezuela tried to print more money to solve problems, but all it does is create more. Inflation is the biggest downfall of an economy, thus the quality of living. True socialism could only work in a world full of exact clones, with no individualism, and no free economy. Otherwise things like, selfishness, individualism, and the need for economic growth, get in the way. Thus, why socialism is the worst thing for a global economy. Di Martino, Daniel. "Socialism destroyed my home, Venezuela." USA Today, 19 Feb. 2019, p. 07A. Global Issues in Context, http://link.galegroup.com/apps/doc/A574737418/GIC?u=nort64068&sid=GIC&xi.... Accessed 20 Mar. 2019. Cohen, Roger. "Socialism and the 2020 American Election." New York Times, 9 Mar. 2019, p. A20(L). Global Issues in Context, http://link.galegroup.com/apps/doc/A577633532/GIC?u=nort64068&sid=GIC&xi.... Accessed 20 Mar. 2019. "Socialism." International Encyclopedia of the Social Sciences, edited by William A. Darity, Jr., 2nd ed., vol. 7, Macmillan Reference USA, 2008, pp. 635-638. Global Issues in Context, http://link.galegroup.com/apps/doc/CX3045302513/GIC?u=nort64068&sid=GIC&.... Accessed 20 Mar. 2019.